Your search is finally over!! 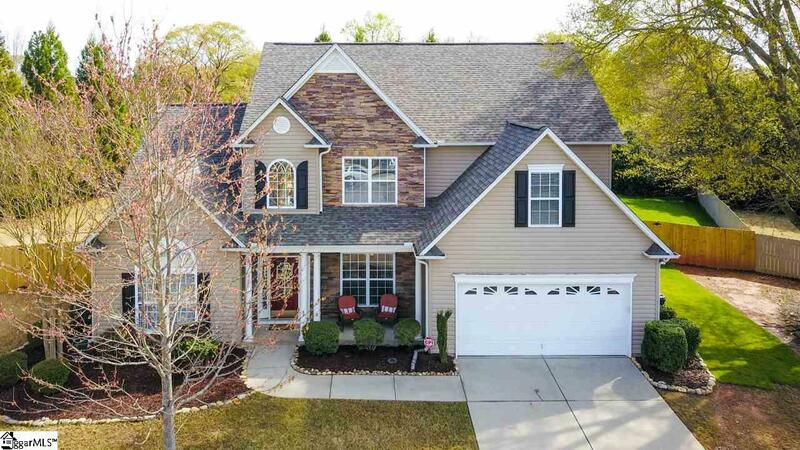 This stunning 4 BR 3.5 bath home will have all your boxes checked! 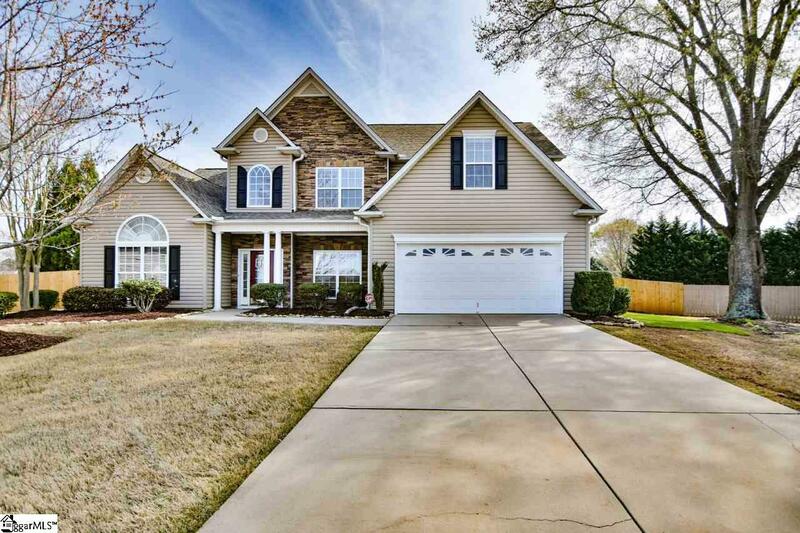 Welcome to 19 Flat Shoals Court in the desirable gated community of River Shoals in Simpsonville. This home is tucked away on almost a half of acre lot on a quiet cul-de-sac. As you enter you will be greeted with a large open foyer with lots of natural light and an amazing view to your private paradise outback. Downstairs you have a large den/study with French doors and a NEW pallet wood wall that the current owners have enjoyed as a place to display their love of aged Whiskey. The large formal dining room has a trey ceiling and crown molding. The 2-story living room will be the spot to sit at and enjoy the 2 sided gas fireplace that also serves the kitchen area. 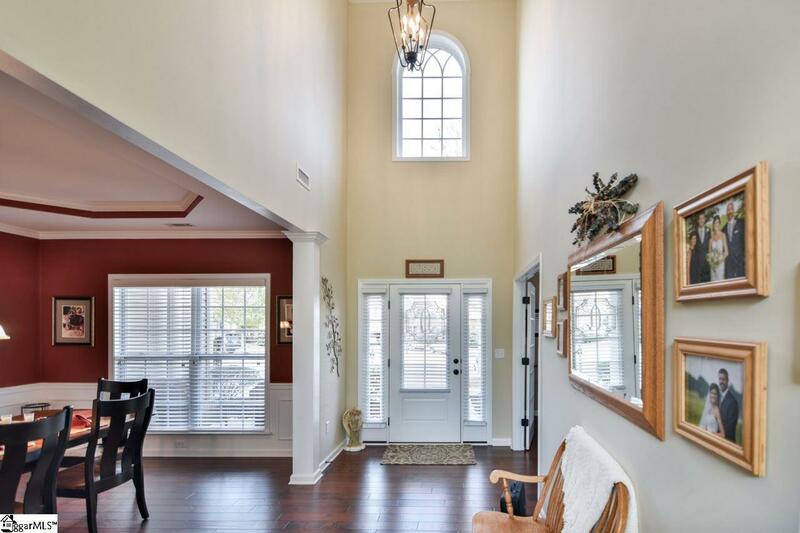 The spacious master bedroom on the main level offers a vaulted ceiling, large windows that lend a view to your back yard, double sinks, garden tub and a walk-in closet. Your new kitchen is large with beautiful wood cabinets, solid surface counters, a separate work station and a large double door pantry. The downstairs also has a large walk in laundry room with built in cabinets and even a folding area. Up the stairs you will have a large landing area that can also be a great sitting area. You will have 3 additional bedrooms and one of them comes with a FULL bathroom! This is definitely a rare find and can be used for guest or that teenage child that just wants their own space. The bonus room is centered perfectly and is a great size with many possibilities. The upstairs bath serves the additional 2 bedrooms and comes with double sinks and a separate shower and toilet area. Now on to the outdoor paradise. There is no longer a need to plan a getaway vacation. Your new outdoor space has it all! These owners spared no expense when they planned the NEW SALT WATER pool and outdoor area. 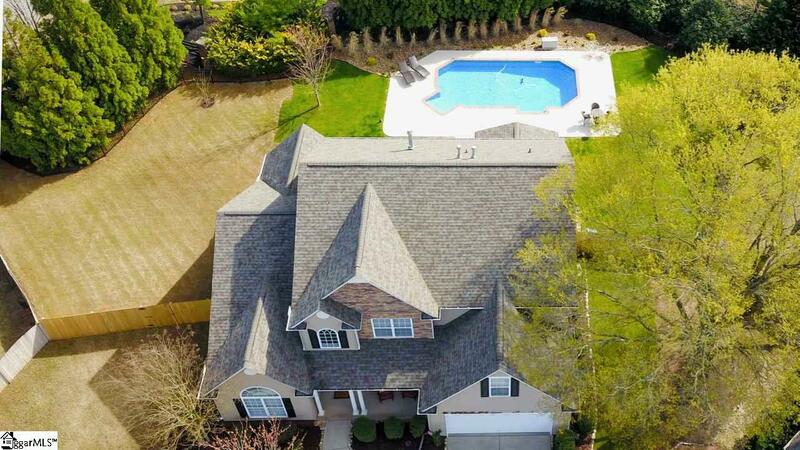 The Pool was just completed in 2019 and the owners chose the GOLD package which comes with many upgrades and TOP of the line smart monitored pool systems, LED lighting and was built with only the best materials. The pool comes with a warranty that will be transferred to the new owner. The outdoor lighting and landscaping package are amazing and offers privacy and yearlong beauty. You defiantly have to see this home to appreciate the beauty and quality of the home. New Roof installed in 2017 and comes with a 50yr shingle warranty. The owners have meticulously cared for and loved this home. Dont miss out on your chance to own 19 Flat Shoals Court in the heart of Simpsonville.